East West Realty Developers , is a sister concern of East West Pharma, a company with a reputed market standing of well over a decade. Our aim is to provide convenient living accomodation in tune with the aspirations of everyone who wants to own a dream home. As real estate developers. Our projects include construction of Premium Apartments, Row Houses and Independent Homes Since inception we have the earned the trust of many customers, thanks to our fulfillment of delivery promises, usage of latest technology from incorporating the best architectural designs, to using branded raw materials and employing secure construction methods to a transparent management, East West Realty Developers always seeks new and better ways to satisfy customers. The present Premium, luxury apartment project” Balram Enclave” is being executed by a dedicated team of professional project engineers. The project gives you the pleasure of a community living while making you feel that you own an independent house as there are no common walls between flats. This pheneomenon not only gives you ample lighting and ventilation, but also the privacy that is often missing in apartment complexes. The strategic location in the heart of the city is really an added advantage, being easily accessible and within the reach of basic amenities such as schools, colleges, hospitals, shopping markets and modes of public transport. 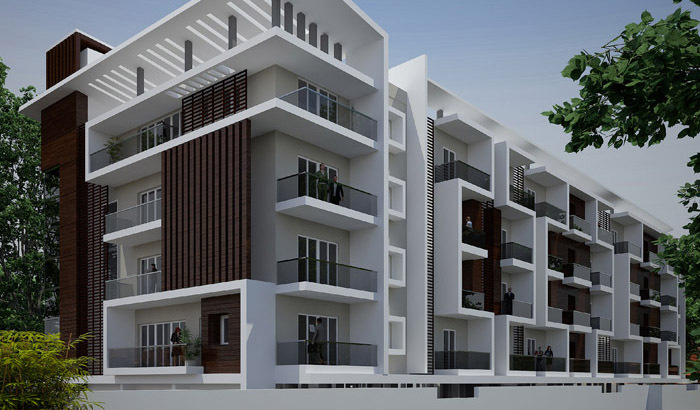 East West Realty Developers aims to drive its property development initiatives with extreme transparency, since we understand that for Indian families living space is equally an emotional investment too and right from the moment these dreams take shape to living the dream, every step of the way should be hassle free. In other words "Your dream home. We deliver" is our guiding principle. East West Realty Developers also proudly offers Warehousing Solutions at Chennai. We already have provided warehousing space to the above clients to name a few. Currently we are in a position to offer at least Two lakh square feet warehousing space at key Industrial hubs at Chennai.